Dryer Interior Size AnyLess than 4 cu. 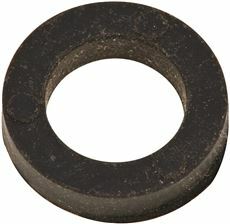 ft.
Washer Interior Size AnyLess than 4 cu. ft.
Width AnyLess than 26 in. All-in-One 13 lb. 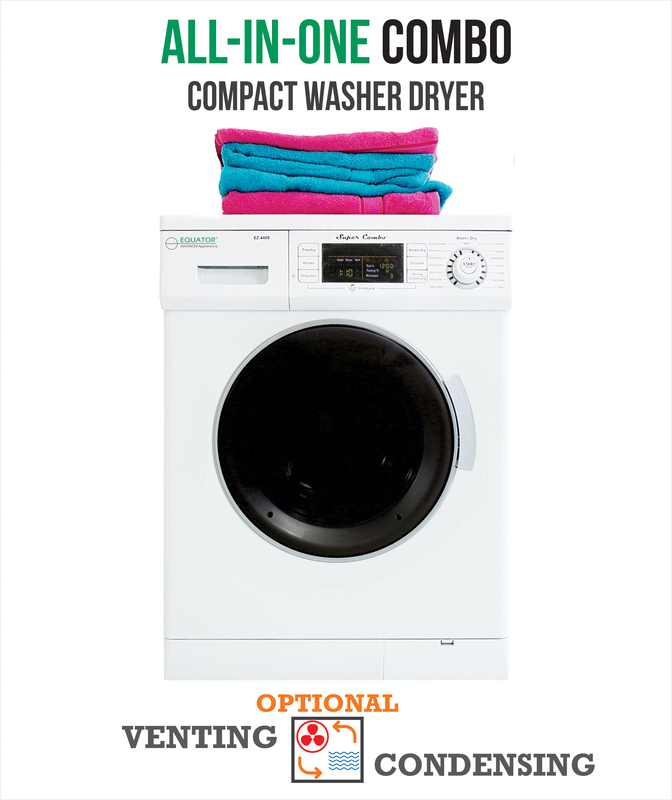 1200 RPM Compact 2013 Combo Washer Dryer with Optional Condensing/ Venting in White. All-in-One 13 lb. 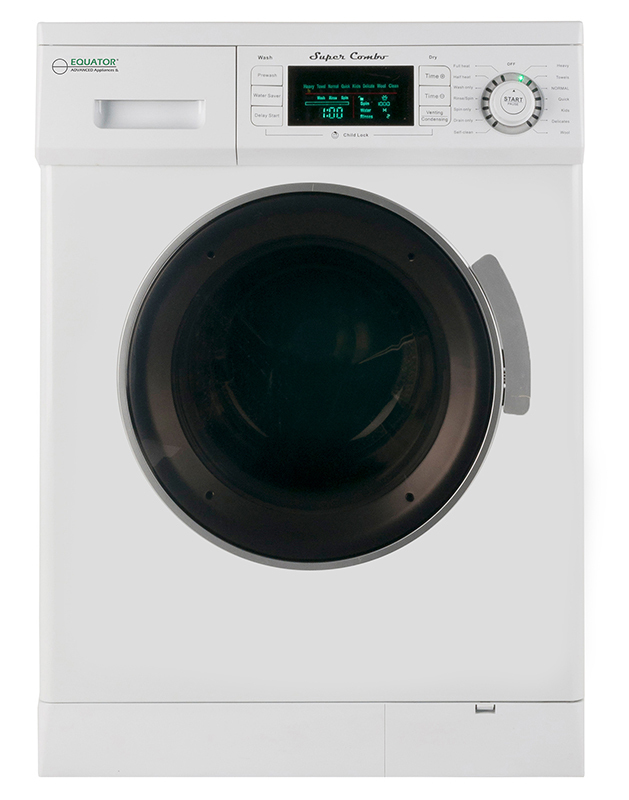 1200 RPM Compact 2013 Combo Washer Dryer with Optional Condensing/ Venting in White. We do NOT provide any installation services nor removal of old appliances. Delivery for large items is curbside only. We do NOT provide any installation services nor removal of old appliances. Delivery for large items is curbside only. All-in-One 13 lb. 1200 RPM Compact 2016 Combo Washer Dryer with Optional Condensing/ Venting in Black. All-in-One 13 lb. 1200 RPM Compact 2016 Combo Washer Dryer with Optional Condensing/ Venting in Black. All-in-One 13 lb. 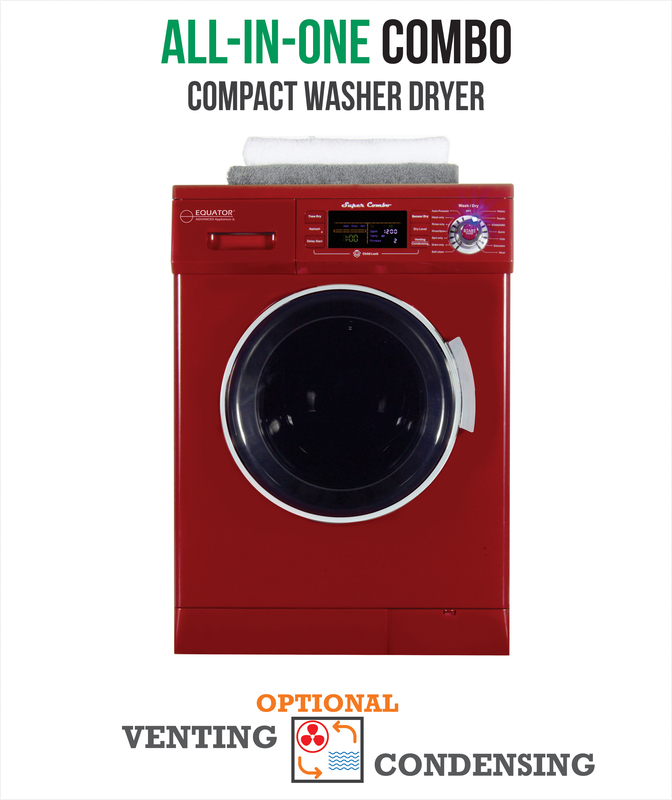 1200 RPM Compact 2016 Combo Washer Dryer with Optional Condensing/ Venting in Merlot. All-in-One 13 lb. 1200 RPM Compact 2016 Combo Washer Dryer with Optional Condensing/ Venting in Merlot. All-in-One 13 lb. 1200 RPM Compact 2016 Combo Washer Dryer with Optional Condensing/ Venting in Silver. All-in-One 13 lb. 1200 RPM Compact 2016 Combo Washer Dryer with Optional Condensing/ Venting in Silver. Equator's Super Combo Washer-Dryer EZ 4400 offers you the future of environmental sustainability wrapped in smart, minimalist style. Innovative and chic, the EZ 4400 has won the TechBrilliance, Twice VIP Award and the Global Innovation Award (gia). It is the slimmest model available in North America, making it perfect for tight spaces. 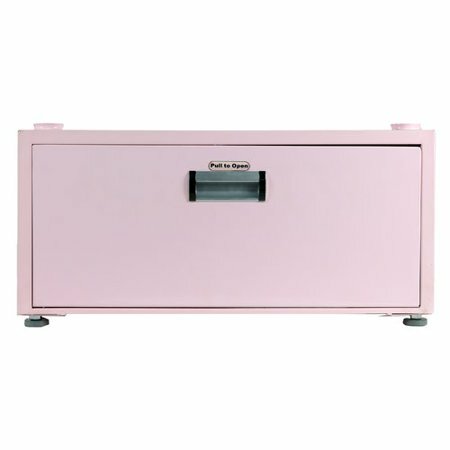 With a load capacity of 13-lbs., and a size of only 33.5" high x 23.5" wide x 22" deep, it coordinates well into any home design and is available in white, black or merlot. 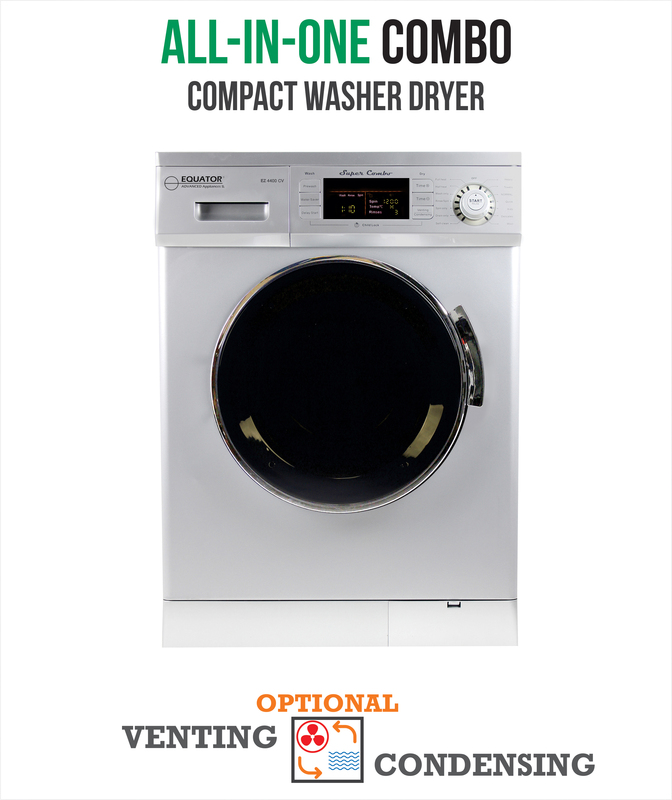 It features an automatic water level sensor, delay start time, one-button convertible venting/condensing options, a sensor dry feature, a wrinkle guard, and even an optional booster fan. 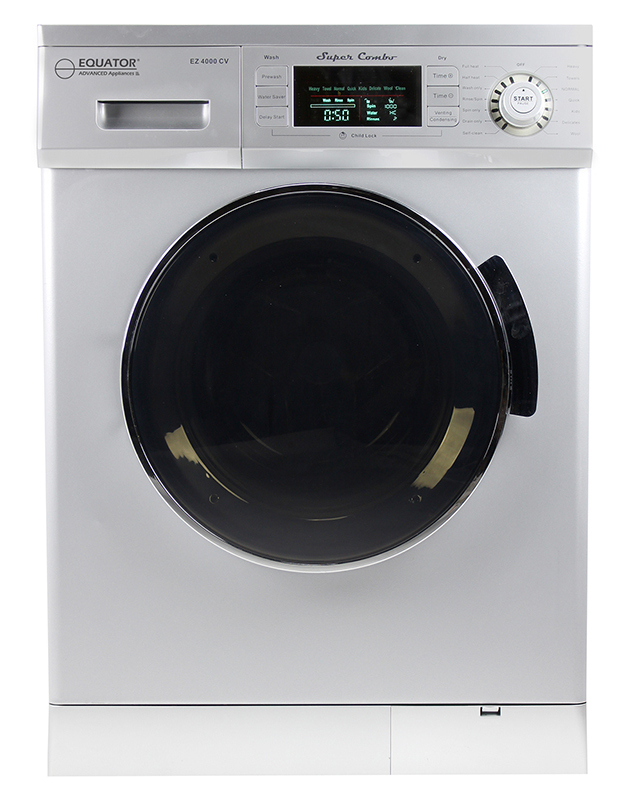 Its 14 programmable wash/dry functions allow you to protect any fabric type, plus it offers Wash Only/Dry Only options. With Equator's spectacular attention to detail, it has an LED display, an angled 45-degree door handle reducing back strain and pain associated with bending and a child lock. The 4400 holds 15 patents, and meets the strict energy standards of 2018, ensuring competitive energy efficiency for years to come. Equator's Super Combo brings exciting ingenuity to your daily drudgery. Less laundry. More life. 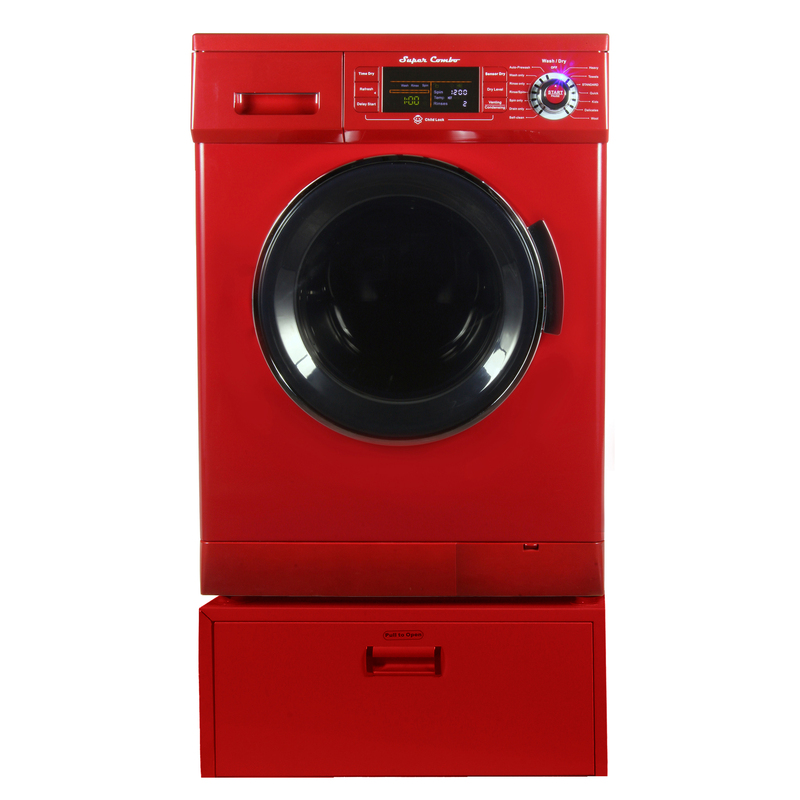 13 lbs All in one Combo Washer/Dryer with Pedestal, Merlot. 13 lbs All in one Combo Washer/Dryer with Pedestal, Merlot. A Compact Washing Machine to cater to your daily laundry needs. It comes with a 1200 RPM Spin Speed and 12 Programs. 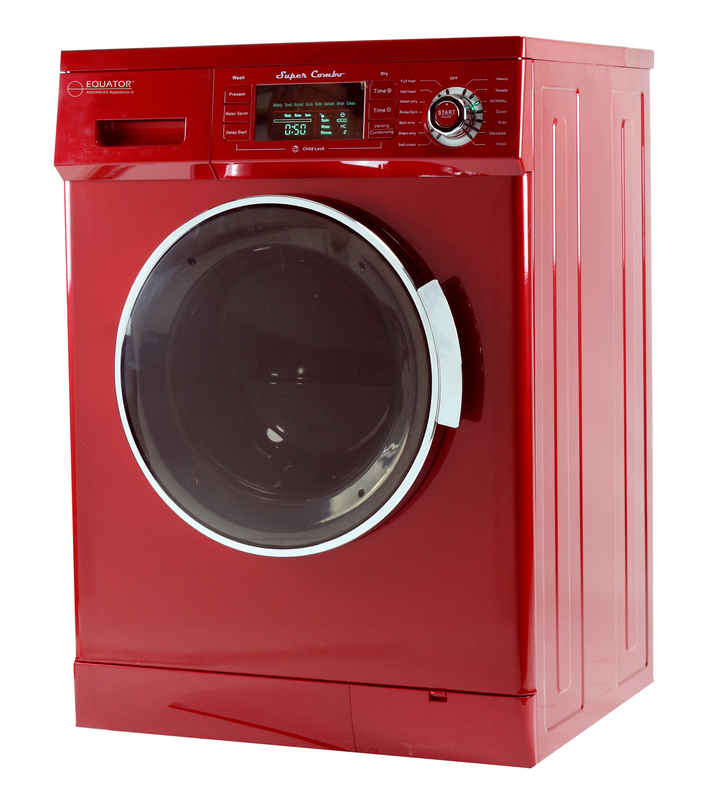 It uses very little water for washing than a standard full size top-loading washer. 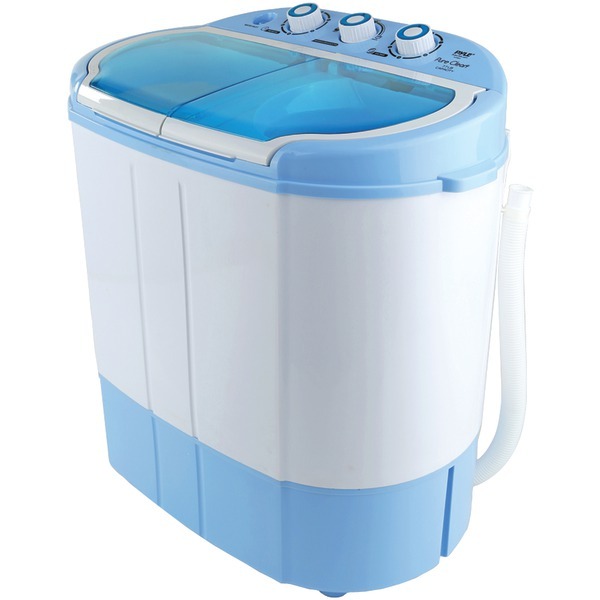 It comes with a automatic water level which helps in saving water as it automatically decides the water intake depending on the quantity of your clothes. And White Pedestal with drawer. New design includes leak overflow system and drain hose. 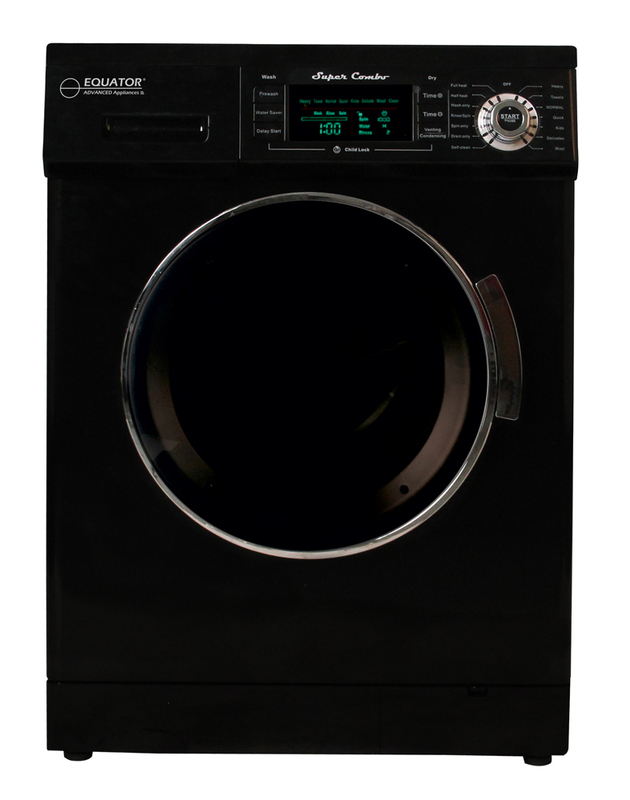 13 lbs All in one Combo Washer/Dryer with Pedestal, Black. 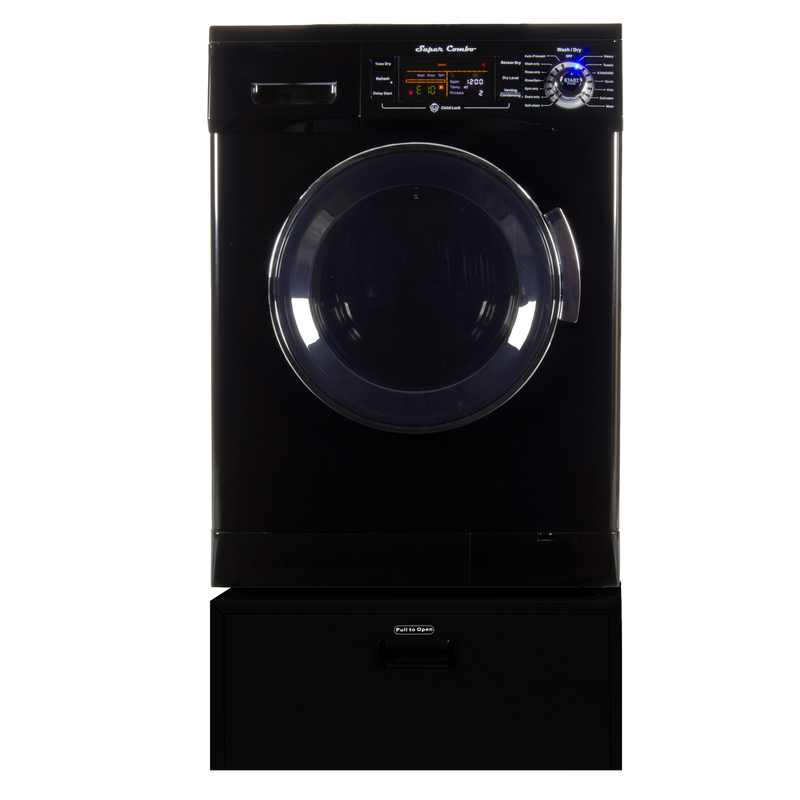 13 lbs All in one Combo Washer/Dryer with Pedestal, Black.